A lovely ground floor cottage that is superbly presented and is perfect for a restful break for two. The cottage has a bright airy living room and kitchen and there is a pretty terrace outside. The bedroom has a king sized bed and there is a spacious shower room off the bedroom. A charming small town that sits under the South Downs. The cottage is on the edge of the village, a five minute walk from the local pub and offering easy access to the South Downs Way. Parham House and Gardens is less than a mile away while Amberley Museum and Arundel Castle are within 20 minutes drive. The cottage is also less than 10 miles from the coast. 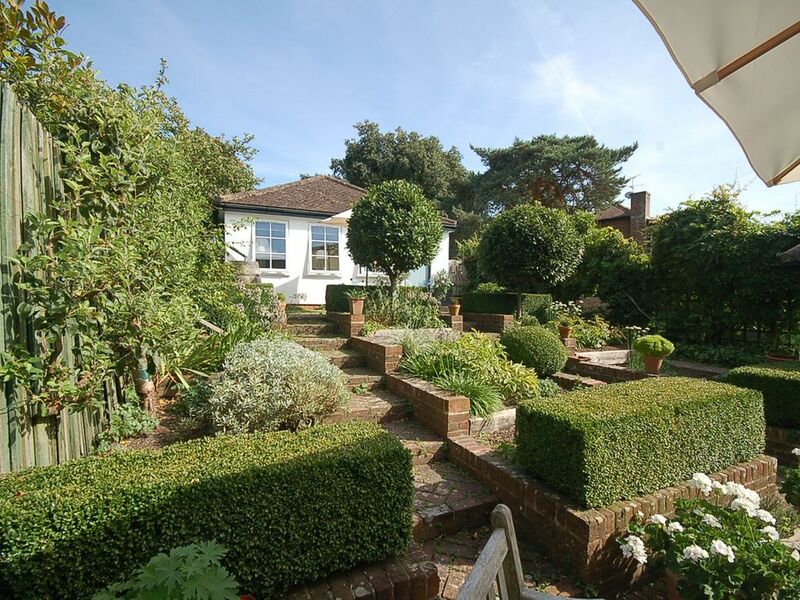 Bay Tree Cottage is a wonderful haven of peace and calm. Well designed and equipped. It’s stylish and comfortable. The owner has a great eye for detail and design. Just on the outskirts of Storrington beautifully appointed accommodation. Spacious living area, very tastefully furnished and comfortable. Delightful spot and would highly recommend. Thank you so much for such a positive review. We've very happy you enjoyed your stay and hope to welcome you back to the area again soon.